Airbus’ Project Vahana has finally taken off, according to a press release from the European aviation giant. 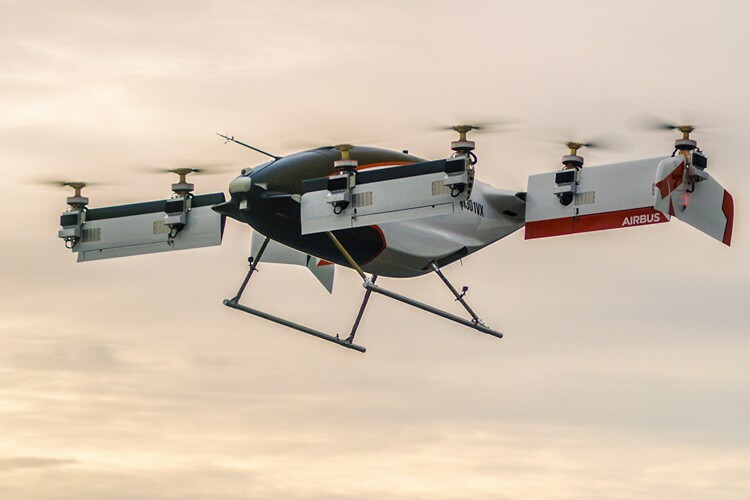 The vehicle, described as an “all-electric, self-piloted, VTOL (vertical take-off and landing) aircraft”, reportedly completed its first flight successfully on the morning of January 31 at the Pendleton UAS Range in Pendleton, Oregon, USA. It is said to have reached a height of 5 meters, hovering for a grand total of 53 seconds before descending to the ground without any incident. The Vahana again took to the skies the following day, completing its second successful test flight. Zach Lovering, Project Executive of Vahana, said in a press statement that, “Today we are celebrating a great accomplishment in aerospace innovation”. According to him, “In just under two years, Vahana took a concept sketch on a napkin and built a full-scale, self-piloted aircraft that has successfully completed its first flight. Our team is grateful for the support we’ve received from A³ and the extended Airbus family, as well as our partners including MTSI and the Pendleton UAS Range”. In just under two years, Vahana took a concept sketch on a napkin and built a full-scale, self-piloted aircraft that has successfully completed its first flight. Vahana may be the Sanskrit word for ‘carrier’, but there’s nothing old-world about Airbus’ autonomous flying taxi project developed at A³ (pronounced ‘A-cubed’) — its R&D center in Silicon Valley. It was first announced to the world media back in 2016, and is meant to be a way to reduce the scourge of traffic congestion in densely-populated urban areas. Airbus apparently has grand plans for the Vahana, saying that it envisions the vehicle “being used by everyday commuters as a cost-comparable replacement for short-range urban transportation like cars or trains”. While the company initially claimed that it will be able to put Vahana in the sky by 2017, that never quite materialized. However, as it turns out, the company only missed its target by a few weeks, which means it was basically right in its assessment for the most part. Now that the first hover flights have proven to be successful, the company says it will do some additional testing in the coming days ” including transitions and forward flight”.